So many fun things went on in the last week that I'm in a constant state of love for my city. Usually spending copious amounts of time defending why I choose to live here, I ended up spending the week with others like me - Clevelanders who LOVE their city! 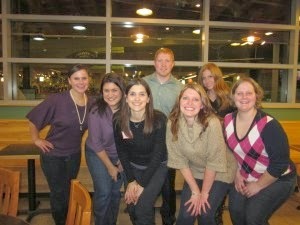 Starting out with finally getting to meet all the fun CLE bloggers in person at the Ohio Blogging Association meetup at Whole Foods. There was much food and wine to go around and I felt like I was having an US Weekly moment getting to meet in-real-life all the cool bloggers I read. There may or may not have been excessive squealing (on my part) and conversation that girls with beer growlers are hot. 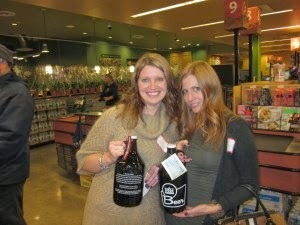 Jen & I sporting our intsant beauty accessory - the growler! Saturday was filled with a bit of BonBon Bakery and if you haven't been here GO NOW. It's quickly become my favorite breakfast/brunch/lunch spot. Sorry Latitude 41. I promise to be back soon. A quick stop at my favorite place for some vino and then a wine & tapas party over at Jaclyn & Oliver's, where we met even more new friends and consumed whites, then reds, then bubbly followed by more red and even more bubbly. Rolling home after 2 in the morning meant that I would definitely need a Sunday afternoon nap before the Crazy Tweetup at the Greenhouse Tavern for Chef Sawyers Iron Chef premiere. 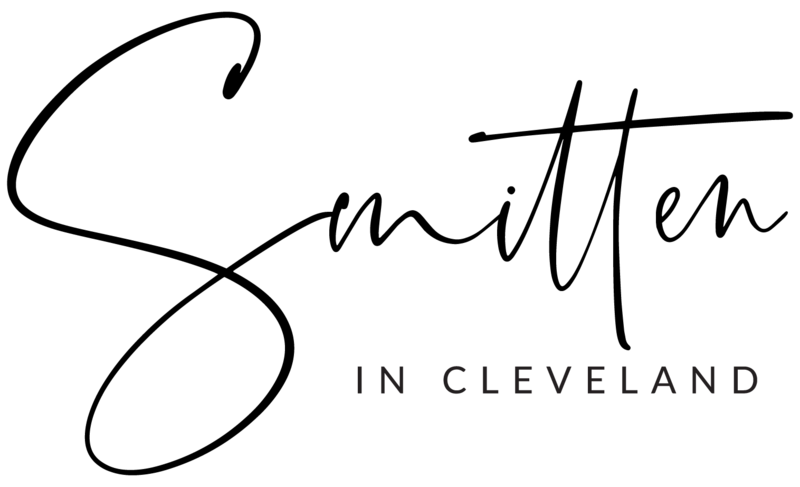 Read all about that over at Eat*Drink*Cleveland. My favorite tweet of the night was from @rimthree: A duck fat grease fire @thegreenhouse would put a crimp in Cleveland culinary and social media scenes - so true! 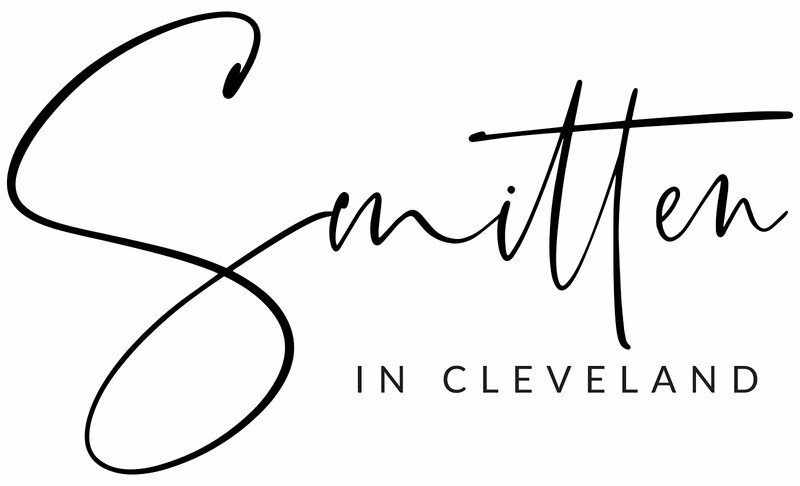 "An atypical bridal show for brides seeking vendors and products that will help them pull off a unique and stylish wedding. Come ready to taste culinary confections, acquire accouterments, feast your eyes on the latest wedding fashions and be all-around inspired." Swap 'n Sale at The Rag Refinery 3-8pm - Not only will there be a bloody mary bar and prices of current merchandise discounted 20-50%, but if you bring in used clothes, shoes and accessories you can trade with your friends for free! Leftover items will be donated to Laura's Home (a shelter for battered women). 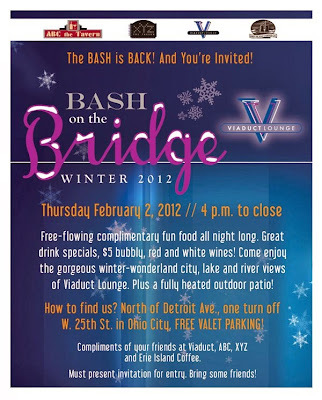 Bash On The Bridge II - Viaduct Lounge - Come for great food and drink and celebrate one of the greatest views of the city or watch it snow on their heated patio! 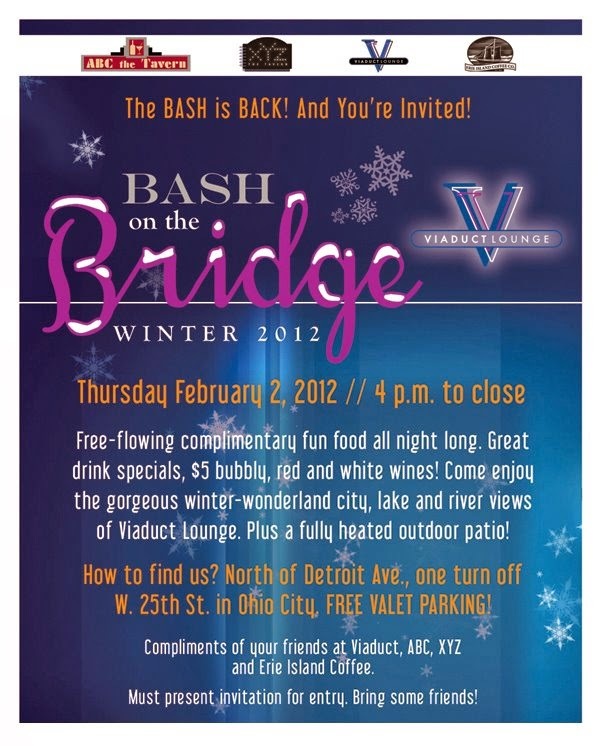 Complimentary food, drink specials and $5 wines. Get your invitation here or here. 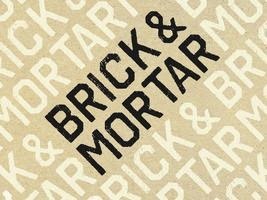 18 independent retailers under one roof! 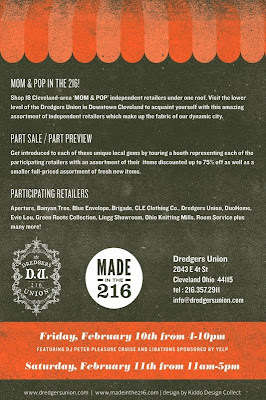 Vendors include: DU, Room Service, duoHOME, Evie Lou, Brigade, Aperture, Ohio Knitting Mills, CLE Clothing Co, Banyan Tree and many more! 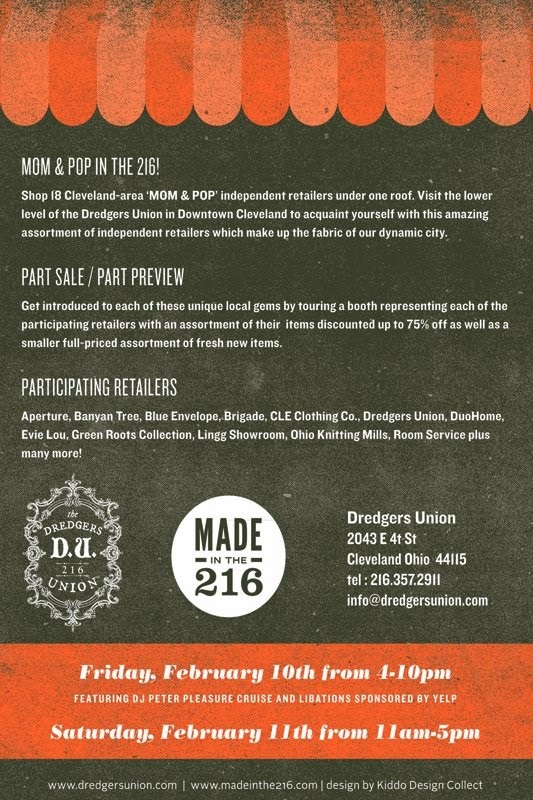 Brite Winter Fest - Cleveland's Outdoor Winter Art & Music Festival moves this year to the OHC!! Check out the venues and bands here. Battle for Battery Park - "Stand-up comedy meets epic chef throwdown in Cleveland's first ever comedy food fight"
Reddstone vs Battery Park Wine Bar: featuring 3 courses at each restaurant with paired cocktail and a signature end of the evening cocktail. Performances from 2 up-and-coming comedians all for $55 for one or $95 for 2 tickets. A six course meal paired with wine. On the menu: Oysters Rockefeller, lobster risotto, beef carpaccio, fettuccine with porcini mushroom alfredo, peppered duck breast and vanilla bean cheesecake. It was great to meet you at the OBA event last week. And I love the save-the-date you posted on here! I love this new habit as well! What a ridiculously great group of girls! want naan for lunch and someone ate all mine when I got home last night. Might have to run over and have them put some in a 3ft square of foil for me. I love your blog! 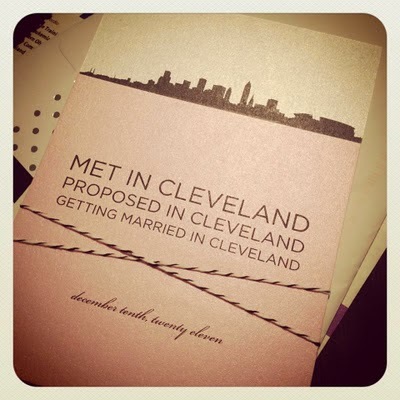 I'm both a recent Ohio City transplant and newly engaged. Please enter me in your giveaway!